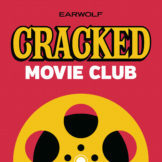 John Carpenter month begins on Cracked Movie Club! Way back in 1981, John Carpenter was an emerging low-budget horror director with a few modest successes to his name when he released his dystopian action masterpiece Escape From New York, the movie that launched Kurt Russell’s career as an action star by casting him as the most objectively ridiculous character in cinema history on a mission to rescue the president from the prison island of Manhattan. This week, Tom is joined by guest host David Bell and comedian Brodie Reed discuss the incredibly innovative miniature work that went into creating Escape From New York, the film’s post-Watergate anti-government themes, and exactly how many terrible snake tattoos Snake Plissken probably has on his body. This episode is brought to you by Bombfell (www.bombfell.com/MOVIECLUB).